Eagle Power Products is part of the Interpump Group which is one of the largest manufacturers of cleaning equipment in the world. This alliance provides for a broad range of innovative products to meet the needs and demands of the cleaning industry. 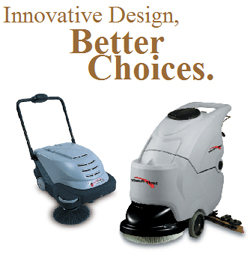 Eagle Power Products has one of the most complete lines of cleaning equipment on the market today. All of these products provide alternatives and improvements to the way work is done in our industry. Check out Eagle Power and see why it has become one of the dominant forces in the U.S. cleaning industry.